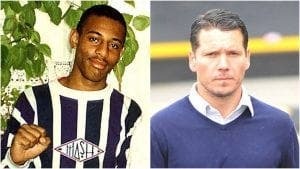 A STEPHEN Lawrence murder suspect who is wanted for drug smuggling has been seen hanging out in the Costa del Sol’s top bars. British fugitive, Jamie Acourt – who was one of five suspected of murdering the teenager in a racially motivated attack – has been spotted in swanky celeb hotspots on the coast. 41-year-old Acourt is currently wanted by Scotland Yard on suspicion of his involvement in a €4.5 million (£4 million) cannabis smuggling ring. 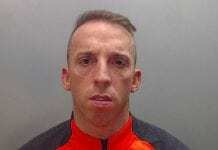 His brother, Neil, 42, is currently serving a prison sentence for the drug dealing crimes. The fugitive features on Crimestoppers’ ‘Britain’s Most Wanted’ list after he fled to Spain in 2016. 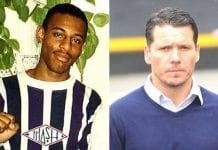 The news comes on the 25th anniversary of the tragic murder of 18-year-old Stephen Lawrence. Theresa May announced April 22 as a day of national commemoration of the teen today, which will take place every year. Lawrence was stabbed by thugs at a bus stop in South London in 1993. Since the incident, Acourt has always been accused for his involvement in the killing of the teen but has never faced trial.